Breech end of an artillery piece (I think a 10 pdr. 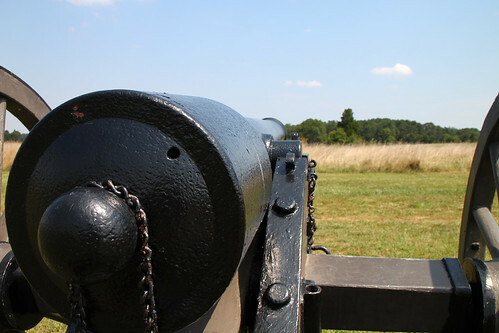 Parrott rifle) on the Manassas/Bull Run battlefield in Manassas, Virginia. 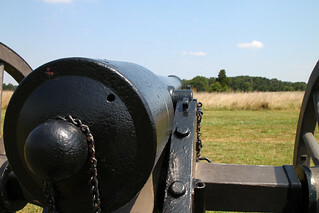 The cannon here today stand in for the guns of Company 1 of the 1st U.S. Artillery, under Captain James B. Ricketts, who was wounded and captured in the battle. The knob at the end is called a cascabel.